Limousine, bus, vintage car, and even helicopter - however you and your wedding party choose to arrive, it sets the scene for the rest of the day. Which is why it’s important you find a transport provider you can trust. We’ve hand selected all our favourites so you can be sure to show up in style, and on time! 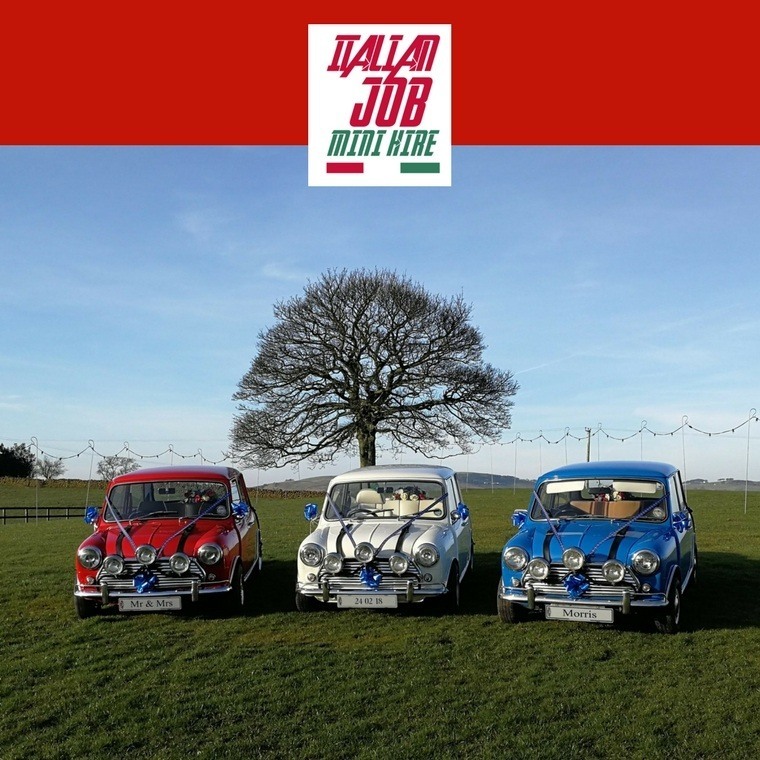 Staffordshire's only Mini hire company with an 'Italian Job' twist - Turn heads on your wedding day by arriving in our 3 Italian job style classic minis, fully kitted out with iPods and iPads for the perfect selfie. Included is a free personalised bottle of champagne and personalised bows to your colour scheme.